Sometimes inspiration hits when you least expect it. 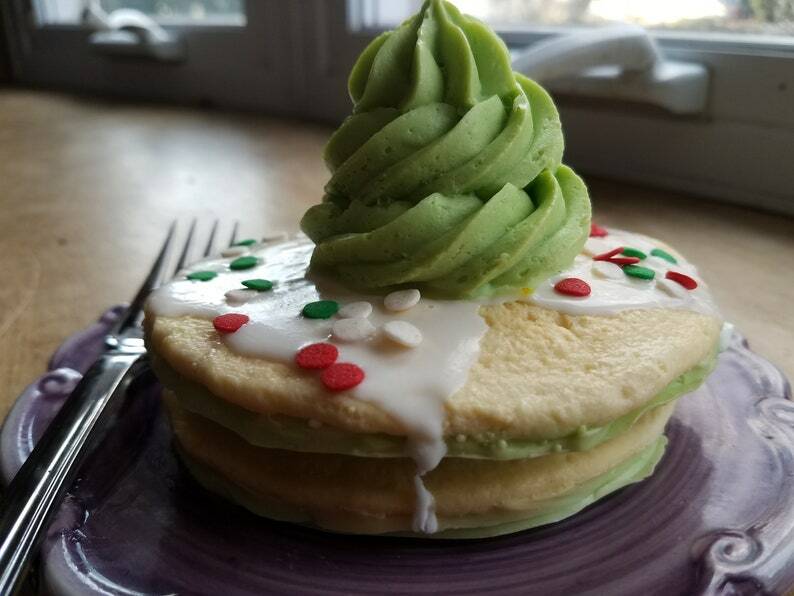 Our green pancake soap is ideal for the Grinch - and you'll be so tempted to take a bite! We start with pancakes that aren't your typical pancakes - a touch of green adds a fun and festive layer to the ultimate pancakes. Stacked two high with white icing poured over them. Topped with a dollop of green whipped cream and decorated with holiday sugar sprinkles. Deliciously scented with Buttermilk Pancake oil. A great gift for kids of all ages - any time of year. Over 10 ounces. You'll even find a silver plastic spoon alongside.